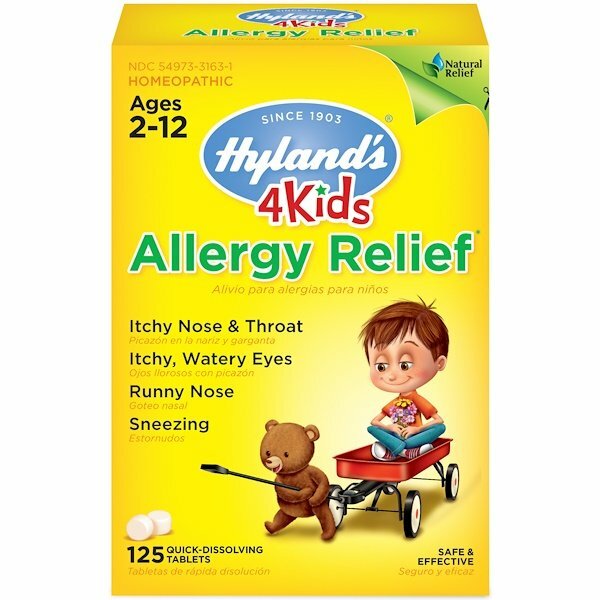 Hyland’s 4 Kids Allergy Relief is a non-drowsy formula providing natural relief of indoor and outdoor allergy symptoms in children including sneezing, runny nose, itchy, watery eyes, and sinus pain. 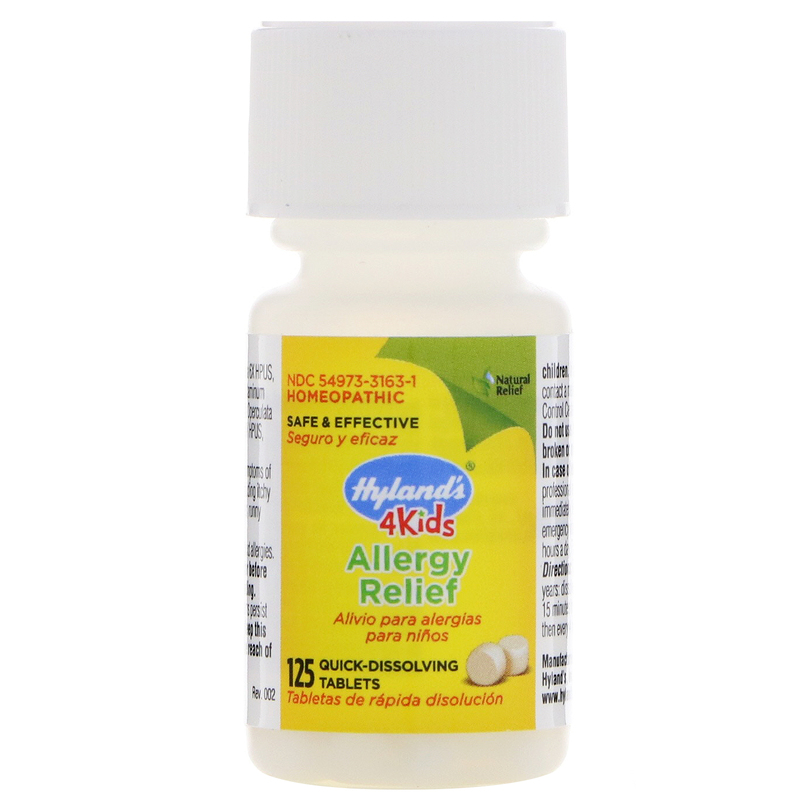 Uses: Temporarily relieves the symptoms of indoor and outdoor allergens including itchy nose and throat, itchy, watery eyes, runny nose, sneezing, and sinus pain. Children 2 years to under 6 years- dissolve 2 tablets under tongue every 15 minutes for up to 8 doses until relieved; then every 4 hours as required. Children 6 years to under 12 years- dissolve 3 tablets under tongue every 15 minutes for up to 8 doses until relieved; then every 4 hours as required. Adults and children 12 years and over- dissolve 4 tablets under tongue every 15 minutes for up to 8 doses until relieved; then every 4 hours as required. As with any drug, ask a doctor before use if pregnant or breast-feeding. Consult a physician if symptoms persist for more than 7 days or worsen. 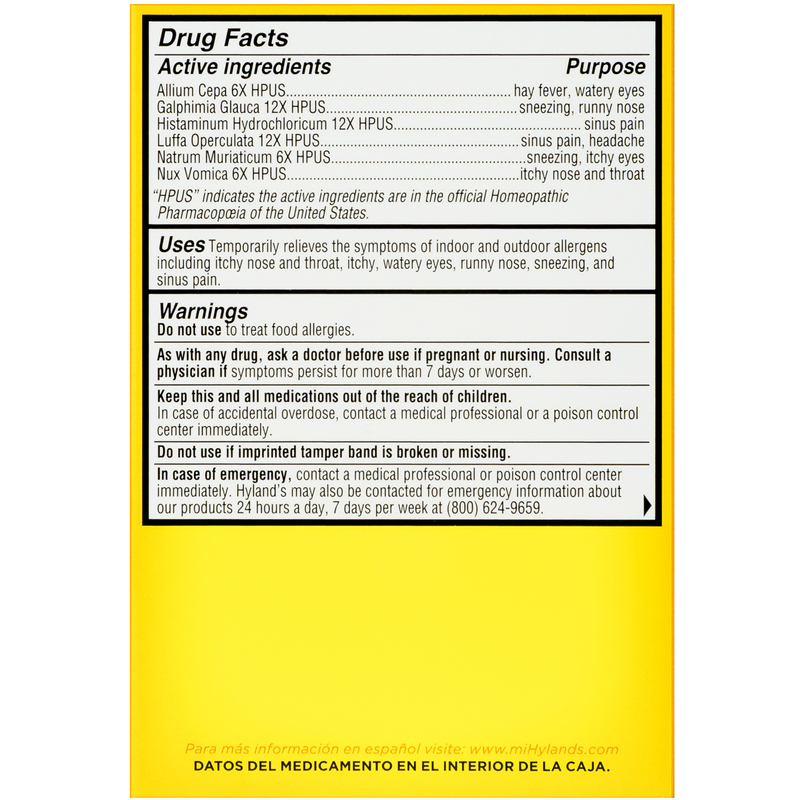 In case of emergency, contact a medical professional or poison control center immediately. Hyland’s may also be contacted for emergency information about our products 24 hours a day, 7 days per week.